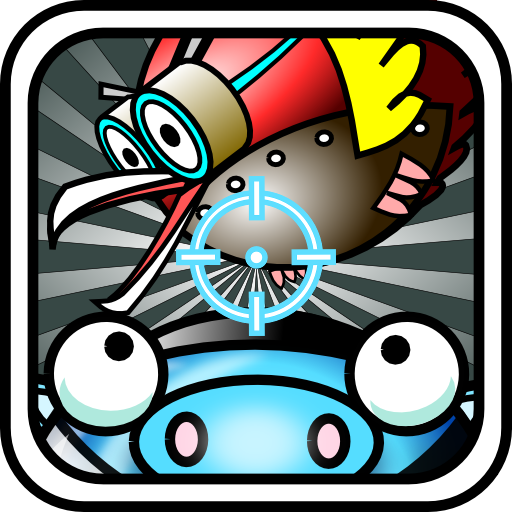 Bird Smash (Free) by Wasabi Bit is an arcade game of a small blue pig, that’s you, taking revenge on some birds with the various weapons at your disposal. 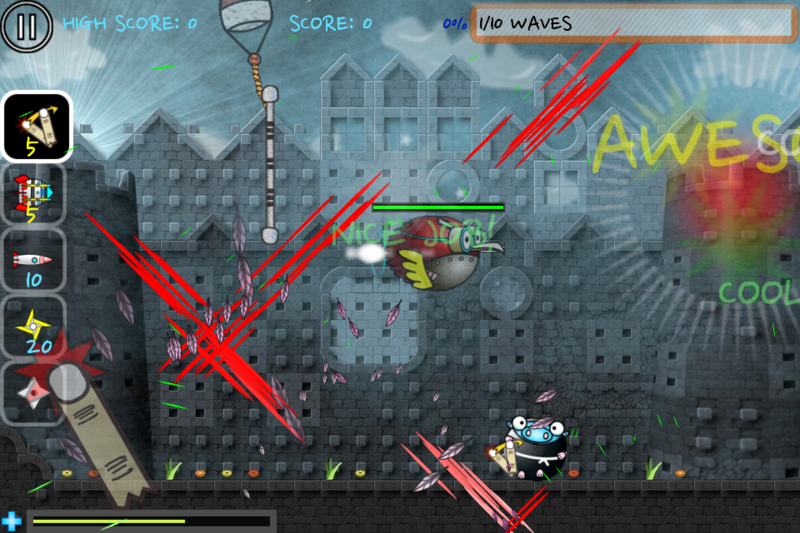 Each level has 10 waves of birds and a dragon boss at the end. To fight off these fiends, you have a selection of five weapons which can be selected on the left of the screen. 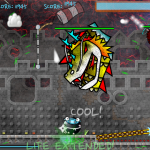 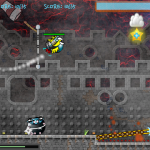 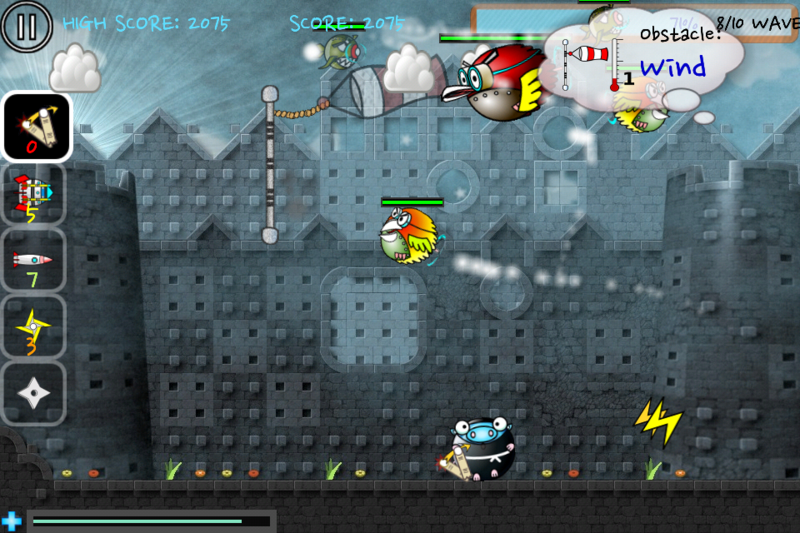 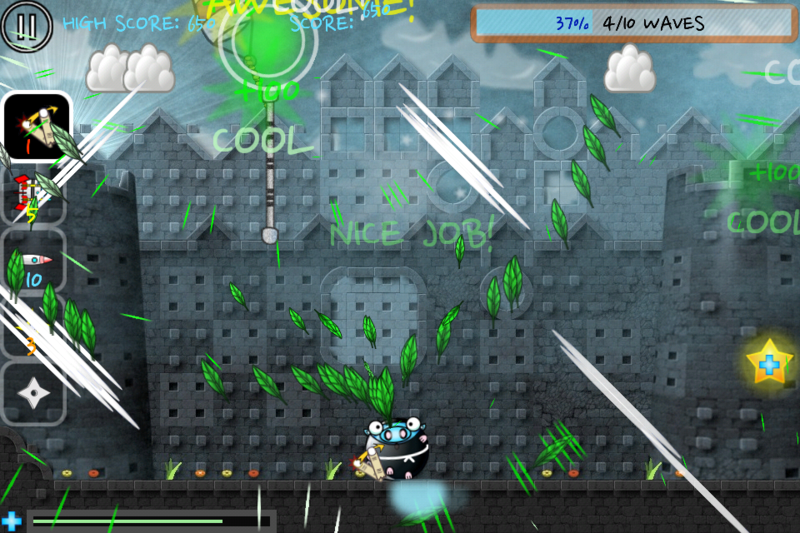 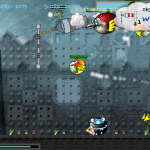 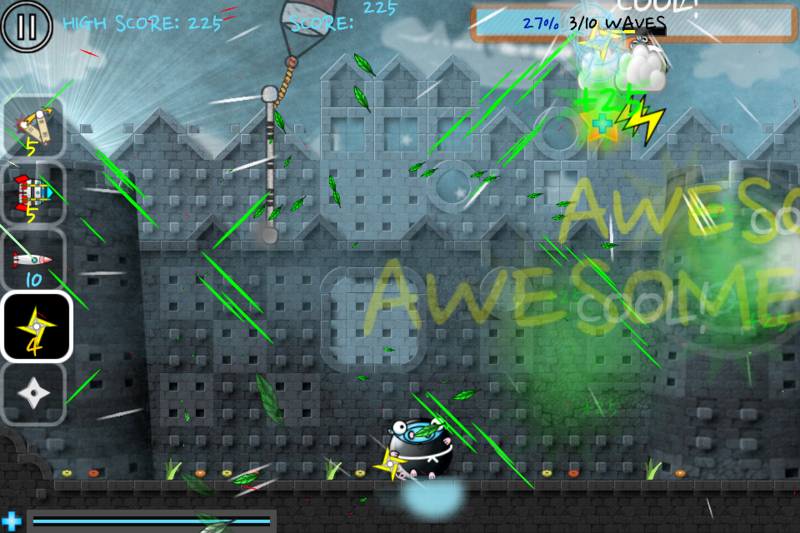 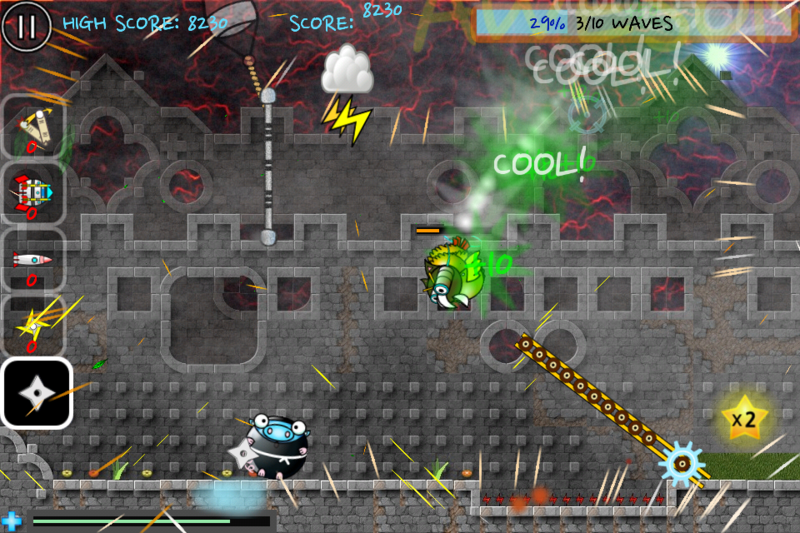 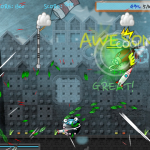 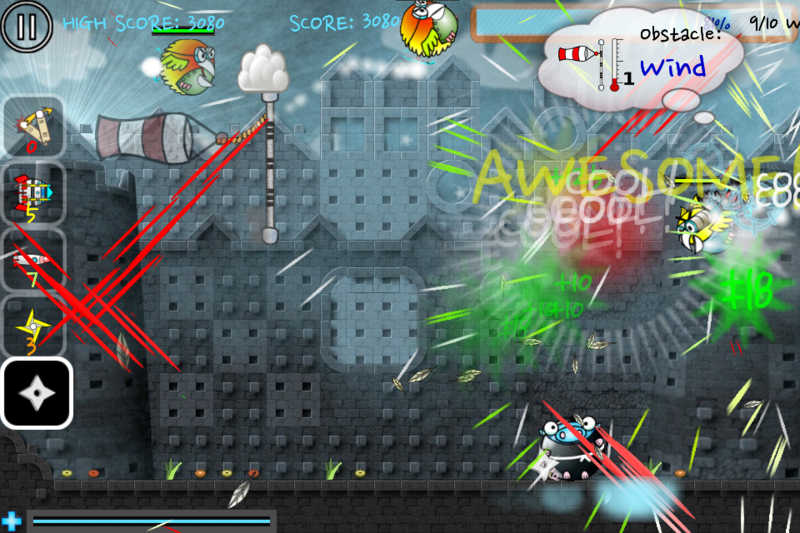 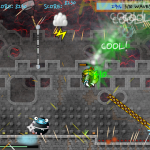 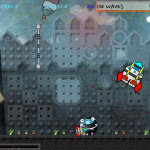 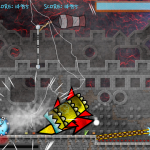 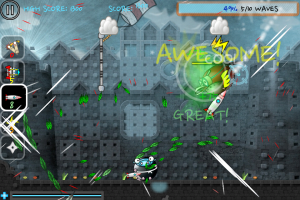 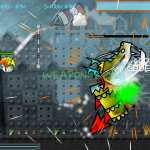 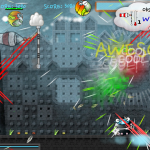 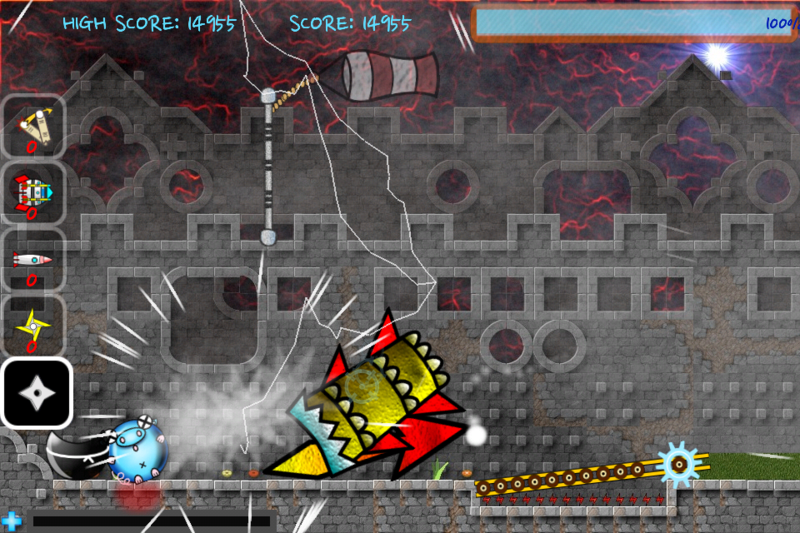 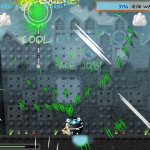 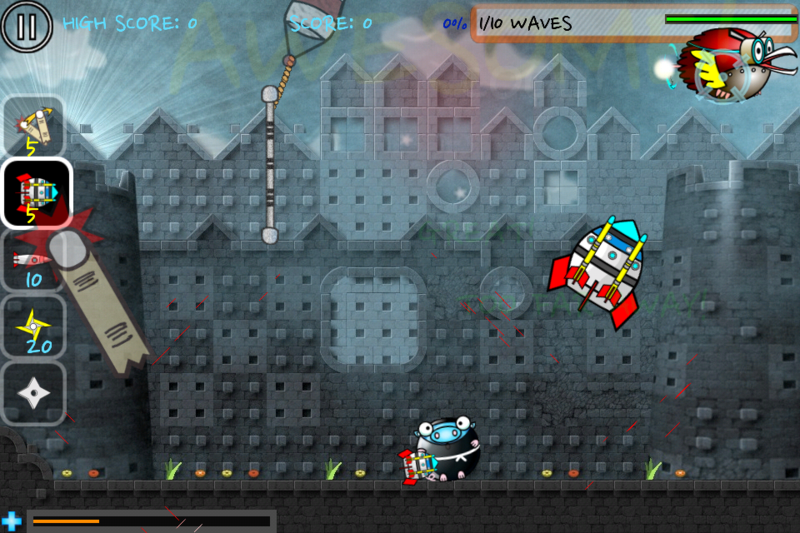 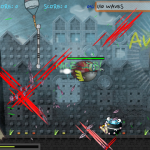 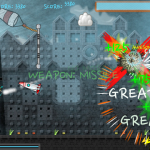 Tap the enemy to fire off your weapons and tilt the screen left and right to move. 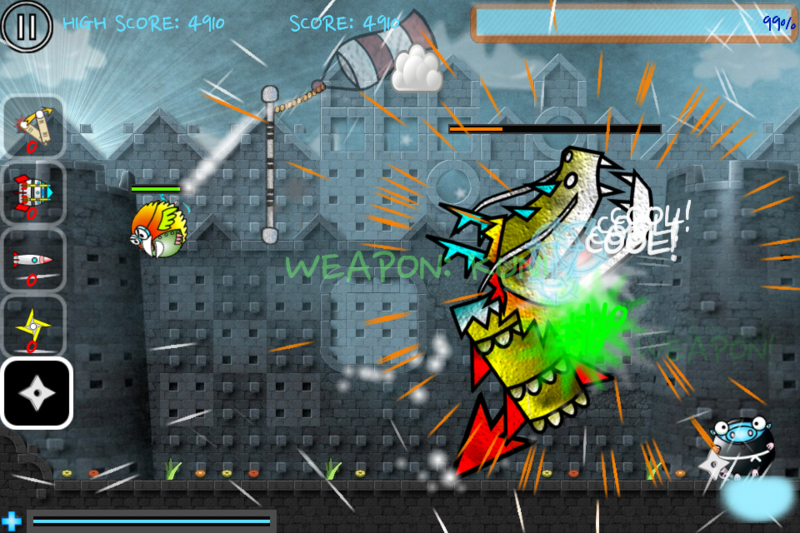 The bottom weapon is your standard ninja star attack, above that are gold ninja stars which do more damage. 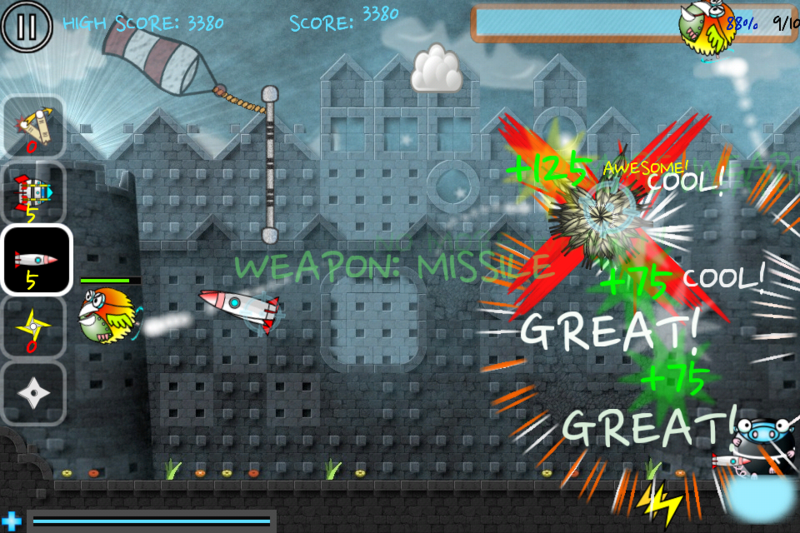 The next two weapons are rockets and the fifth is a kind of force pull or throw (nothing to do with the Jedi, promise). 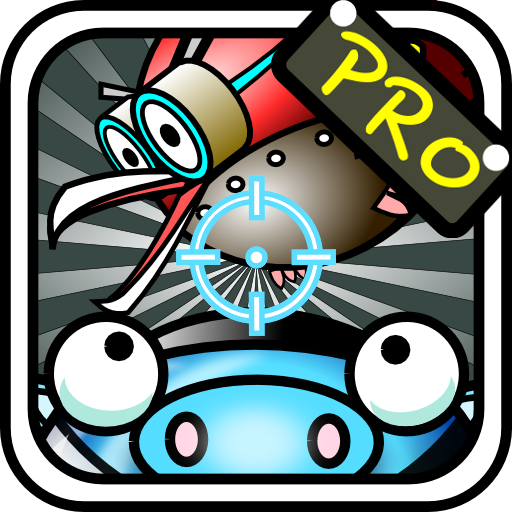 With this weapon, you flick the birds themselves into the walls or you flick bolts of lightning, drifting down from clouds, into the birds. 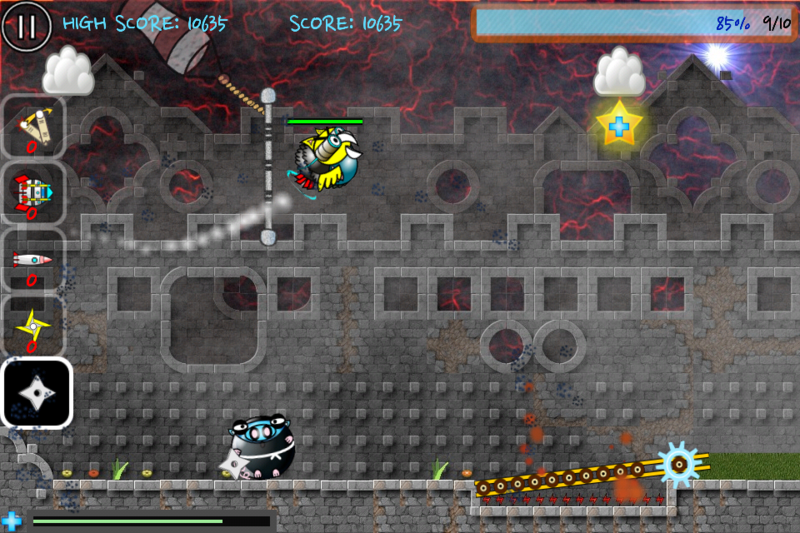 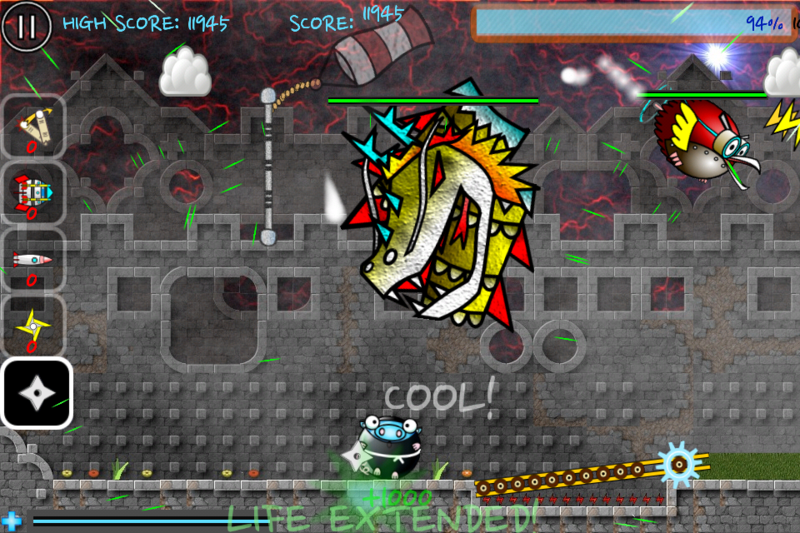 Except the silver ninja stars, each weapon has very limited ammo in the free version. 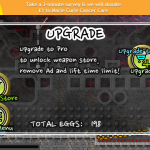 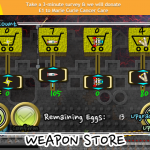 Upgrading to Pro will let buy more using eggs (an in-game resource). 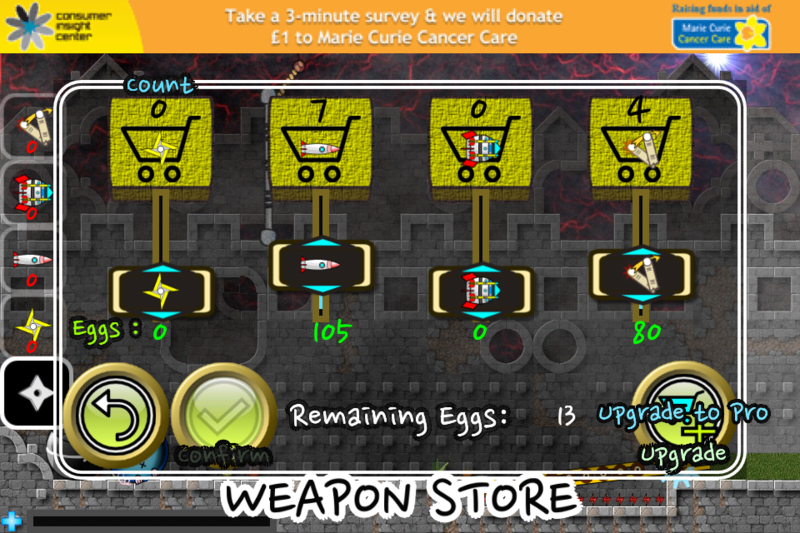 On the bottom left is your health bar -- take too many hits and you’re a roast dinner. 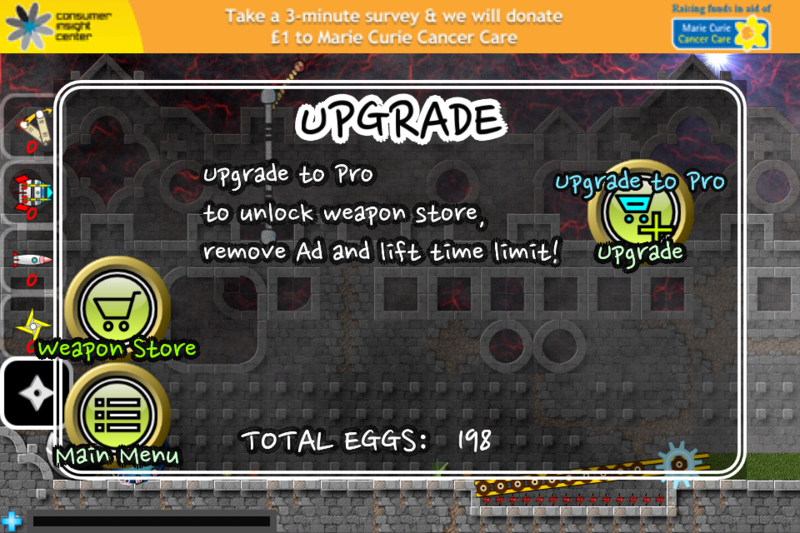 Be sure to look out for the gold star power-ups, they restore health quite rapidly. 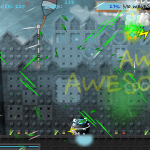 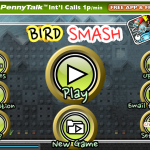 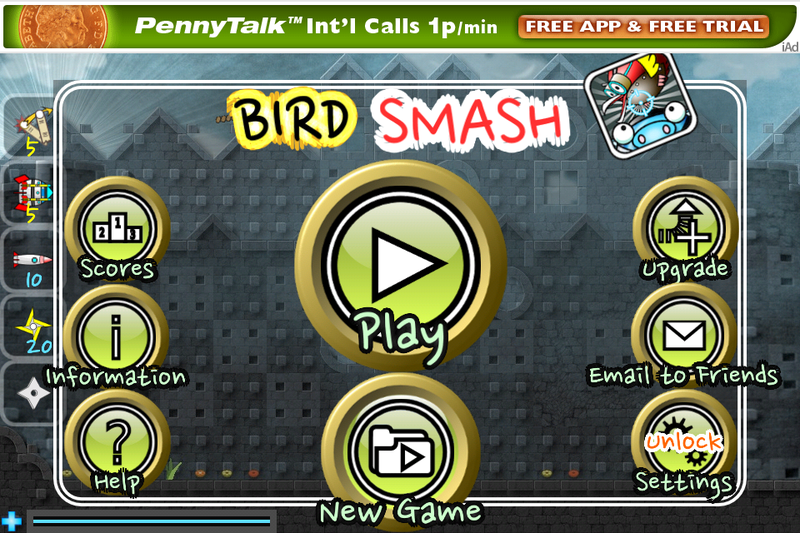 With its rapid action, bursts of color in explosions, obstacles added along the way and a free version, Bird Smash is sure to be worth checking out.